Whether you own a small business, large corporation, or are just tasked with printing the weekly neighborhood newsletter, a lot goes into planning a printing project. Starting off from day one with the correct knowledge, tools, and resources can save you money and a lot of headaches down the road. Although each print job is different, there are a ton of similarities that allow you to fine tune your project, so here are some things to keep in mind before even setting foot inside a print shop. Arguably one of the most important aspects of any print job, your audience will be the ultimate deciding factor as to whether your print project was successful or not. Identifying your audience and creating a message that resonates with them will help ensure you reach as many people as possible. Ask yourself exactly who you want to reach, and what you’re trying to say, and be sure to convey that in your message and design. Knowing your audience is the first step to successfully preparing for print. If you’re a business owner, think about what kind of reputation you want to have. Come up with a design strategy you can use as a template, something that customers can become familiar with. If you’ve got a corporate logo, be sure to somehow incorporate it into the design. Whether you’re printing business cards, or a book illustrating last year’s annual sales, always utilize text, pictures, colors, and graphics to create a clear, effective message. All of these things working in harmony can do wonders for you and your clients. After thinking a bit about your audience and the message you want to convey, sit down and figure out exactly how you want to do it. There are a lot of different print options available, but the one that’s best for you is ultimately up to a variety of factors, including audience, personal preference, design, your industry, and so on. If you’re working on an advertising campaign, try to identify the medium that you think will reach the most potential customers, whether it’s handbills or posters. Perhaps you want to create a lookbook for potential clients to illustrate your business’ portfolio, or a packet analyzing the quarterly budget; there are a ton of ways to get your message across, but being specific about the medium you want to use will save you a lot of time when planning a printing project. Once you’ve settled on the basics of who you want to connect with, and how you want to do it, it’s time to start outlining a budget for your printing project. Your budget will help influence the printing choices you make, including size, materials, ink quality, color options, finishes, and more. When you create your budget, make sure to allow a certain amount of room to flex; it’s not a bad idea to settle on an estimate of proposed costs, identify your ideal price for the project, and then set a price range with a lot of wiggle room. A larger budget doesn’t always mean that you’ll have the best finished product possible, you need to know where to place the money in order to make your budget work to your advantage. Consulting an expert, or working with a printer early on in the process can be a great way to develop your budget plan, make printing selections and identify any issues that could arise during the production process. If you’re not an printing expert or experienced designer, then working with someone who can help you set realistic budget goals is extremely important; they can offer advice on materials, and also help during the design process. Image courtesy of PhotoSteve101 (Flickr). Coming up with a game plan for any printing project is always a good idea. Creating a timeline for your project will help ensure that every aspect of it goes smoothly, and that you’re not rushed or forced to make any big, last-minute decisions. 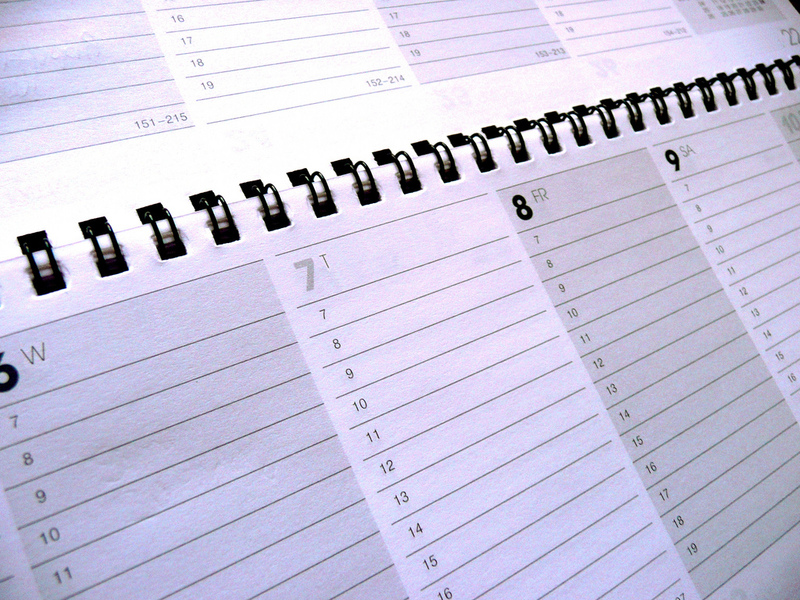 Be sure to include as many people as possible when making a schedule, from those on the financial side to the designers themselves. Keeping your printer in the loop is always a good idea; going over your project’s timeline with them will also help you avoid any extra rush costs for last minute work. Whether you’re working with a designer, or own your own, color will play a large role in the appearance of your printing project, as well as its projected costs. Choosing the proper colors and implementing them into your design can do wonders for reaching your audience, just like the wrong ones can be a big hindrance to your success. 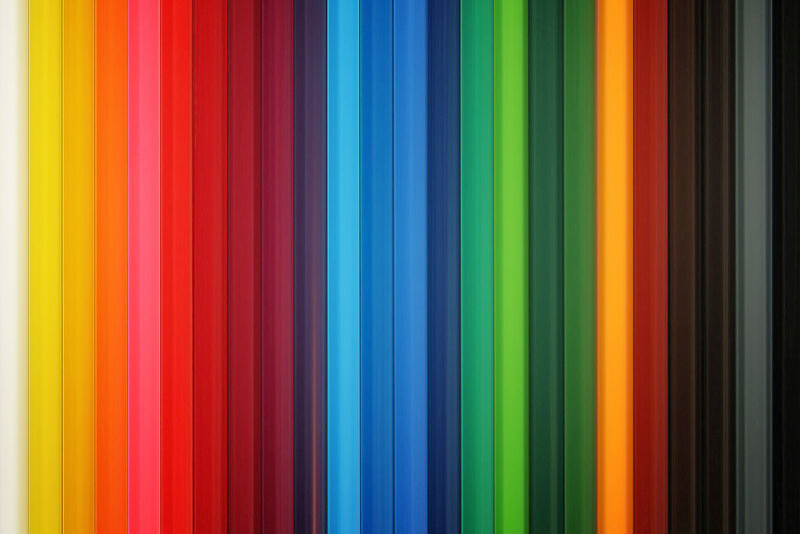 Color is a great communication tool: it has cultural significance, elicits certain moods, and grabs the eye’s attention. Basics: Knowing a little bit about basic color theory, and how to use colors to your advantage can help you greatly in the planning process. Use the color wheel as a jumping off point; think about which primary, secondary, and tertiary colors will help communicate your message. 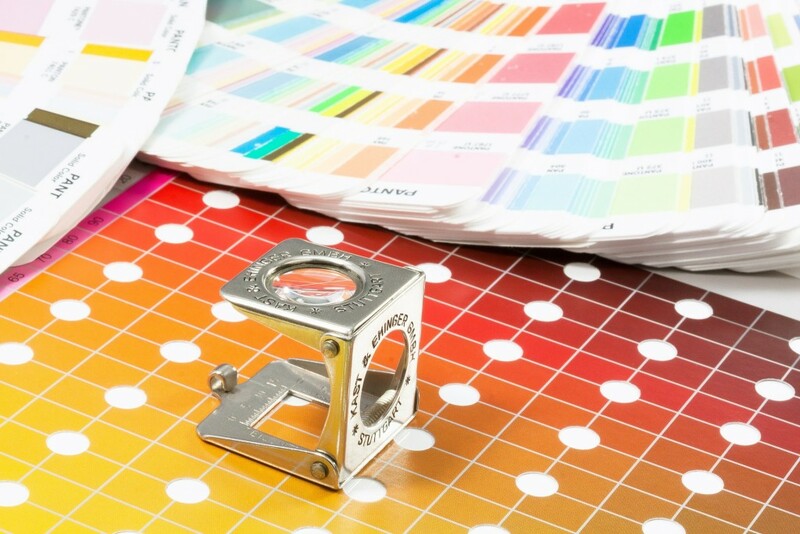 Create a Color Scheme: Identifying which colors you want to work with, even in a simple fashion, will help you maintain your vision throughout the rest of the printing project. What colors will resonate with your audience? Be sure to consider the time of year (seasonal colors), what type of mood your looking to create, and any other important factors that may impact the printing process and your overall design. For more detailed information on how to choose the best colors for your print project, printing project color guide. Image courtesy of Anne-Sophie Leens (Flickr). Once you’ve settled on a basic color scheme, it’s time to start outlining a design. No matter what you want to print, having a solid color scheme and design is essential, and they both go hand-in-hand. Not a design experts? It’s OK. Even if you’re not on the design team, thinking about some of these aspects will help the planning process immensely. Placement: One of the most vital aspects of design, placement is something to take into consideration from the very outset of the planning process. It’s important to develop a hierarchy of the most important aspects of your design; consider what you’re working with (text, visual imagery, colors) and what is essential to convey your message. Explore different text sizes, image colors, and other aspects, and keep it simple; after all, you want your audience to be able to read it, right? Proportions: After considering the most important elements of your design and where to place them on the page, you can now get into some of the details. If you’re working with fonts in your design, think about size and types of fonts you’d like to use; utilizing more than one font type adds variety. Also, there are many complementary types of fonts that look great alongside each other. 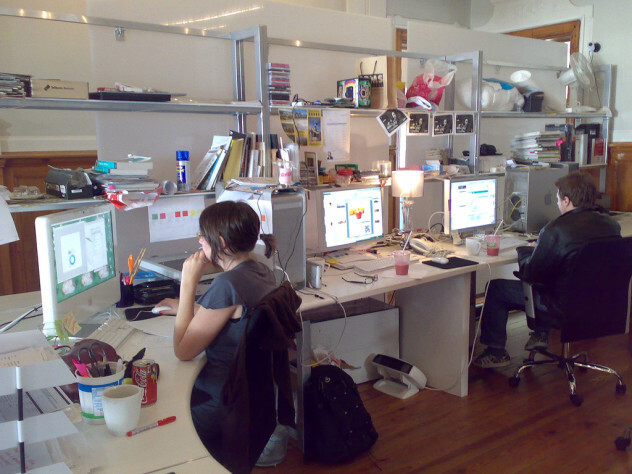 When working with visual imagery, pictures or graphics, exploring different sizes and proportions is extremely import. Be sure to use resolutions that will make your finished product look it’s best, and check ahead of time with printers to make sure your pictures and graphics will actually look good on the page; you don’t want to wind up with any pixelated images or bad color quality due to oversight. Cohesion: It doesn’t really matter which one of these design aspects you start with, as long as they all come together to create a something cohesive. You want all of these things to compliment each other, creating a subtle harmony in your design; nothing should really “stand out” unless you planned it that way. Don’t be afraid to push the limits, experiment with your strategy, but always be sure that the end result is the same, and will look good across multiple platforms. Go here for an in-depth guide to getting your artwork ready for a print project. Image courtesy of CutePomPom (Flickr). The materials for your project will depend on a wide variety of factors, including what you’re printing (books, handbills, posters, flyers), what it will be used for, and the size of the overall project. However, there are some industry standards to take into consideration that will help make planning for any printing project easier. 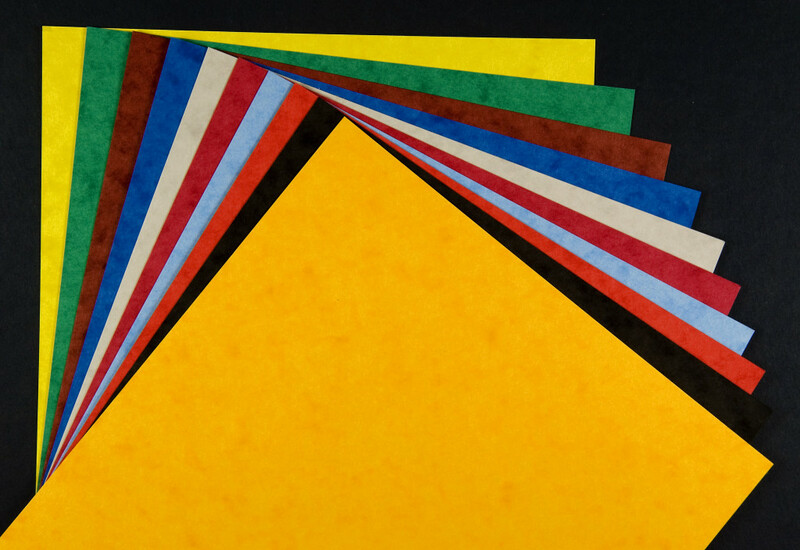 Paper: There are a ton of different types of paper to choose from, but ultimately the right choice all comes down to one thing: the type of finish you want. Uncoated paper is good for simpler projects, like handbills or business cards. If you want something more unique, or plan to give what you print to potential clients, choosing silk or satin paper will give it a cleaner look. For lookbooks and things that are meant to be held onto, paper with a glossy finish will help ensure there are no smudges during the printing process, and that the finished product remains looking as good as new no matter how old it is. For more info on choosing the perfect paper for your print project, go here. Ink: The type of ink you use will ultimately determine how your design will look on the page. Most print shops typically use two types of ink, dye or pigment, which each have their own benefits. Dye inks can offer some very beautiful, vibrant colors, however, when exposed to sunlight they can fade over time. Pigment inks are a bit more expensive, but if you’re looking for a clean, finished product that won’t degrade over time, pigments might be a better choice. Of course, this also depends on exactly what you’re printing. Process: Depending on the quality, and quantity, of your printing project, most places will allow you to choose from either digital, or offset printing. For ages, offset printing has been the industry standard for high-quality printing, but recent advances in digital printing technology will have even experts hard pressed to tell the difference between the two. However, offset printing allows you to produce a much larger volume in a smaller amount of time. 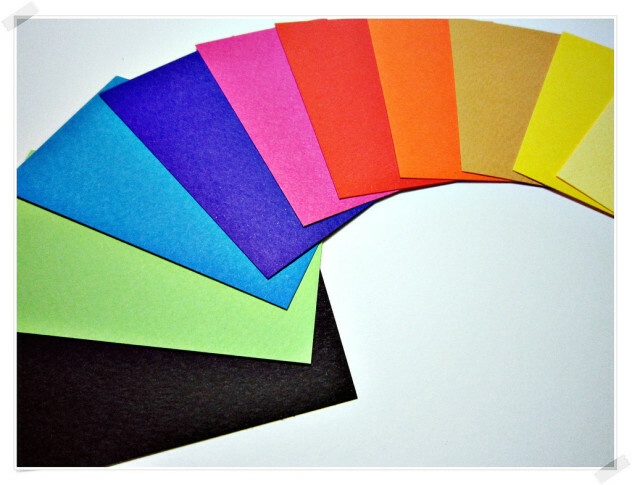 Color Values for a Printing Project: When printing, you should also take color values into consideration. Many print shops use the CMYK (cyan, magenta, yellow, black) color format. With this small combination of colors, printers can use shading to create thousands of color options. There are also more specialized color options for printing, so be sure to discuss these with your printer as well if you think it may benefit your final product.